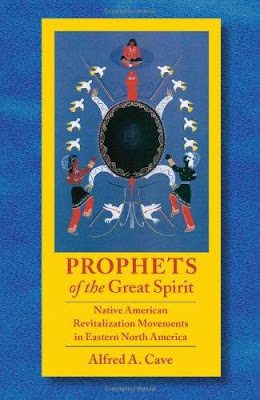 This book tells the story of nativist prophets in eastern North America who sought to explain the catastrophic events that had befallen Native American peoples. They strove to arm the beleaguered with renewed spirit power, power that would come from the Creator. The European presence on the continent had had a devastating effect on Indian societies. Affliction had began with first contact, for Europeans brought to the continent deadly pathogens from which the Native peoples had no natural immunity. Within the first century of colonization, epidemics reduced Indian populations by about 90 percent. The malign effects of alcohol, of intensified warfare, and of the disappearance of game associated with the fur trade, as well as the progressive loss of land to the European invader, soon exacerbated the impact of epidemic disease.Growing economic and military dependency upon European trade goods threatened the integrity of indigenous societies. The expansion of white settlements imperiled their continued existence as independent communities. The ongoing crises had profound spiritual dimensions, for the failure of shamans to cure the sick, restore lost natural bounty, or arm warriors with invincible power offered alarming evidence that the forces and entities that once had sustained their way of life were no longer with them. Those who cherished a Native American identity were thus in great need of new answers and new visions. Many found those answers and those visions in the teachings of prophets.